Introduction to oral and written Catalan language. Part I of two-term accelerated language sequence equivalent to three terms of traditional pattern and designed for advanced undergraduate and graduate students. P/NP or letter grading. This is a hybrid course. We will be meeting through videoconference MW from 10 to 11:50. 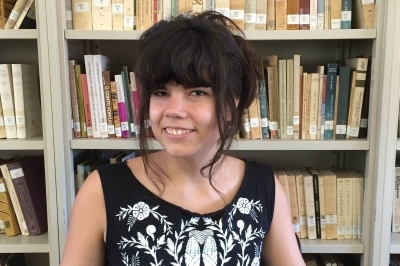 Gemma Repiso, current lecturer in Catalan from the Institut Ramon Llull of Barcelona at University of California, Los Angeles holds a Master's degree in Applied Linguistics with specialization in Second Language Acquisition from the University of Barcelona (2014). She is presently collaborating in several research projects involving second language acquisition: “Critical Incidents in Transcultural Communication” with the University of Barcelona and funded by the Spanish Education Ministry, the “Oral Corpus of Los Angeles Spanish” and “The Realization of Spanish Taps” and “Linguistic Insecurity in Heritage Speakers” with UCLA. She has taught Catalan, Spanish, German and English as foreign languages and has presented research at the Jornades de Catala in Tarragona (2016), The Language Alliance Symposium (2016) and Tenth International Conference on Language Teacher Education (2017) both in Los Angeles. She has also published a book chapter on teachers’ identities in Beyond language boundaries edited by Fernández-Villanueva and Jungbluth in Walter de Gruyter GmbH. She has received a grant from the Innovative Learning Technology Initiative from the University of California to develop a hybrid course in elementary Catalan, that she is currently teaching across UC campuses.